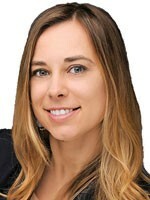 Mary Olszewska is a trial lawyer at the Genie Harrison Law Firm, APC. Mary’s practice focuses on employment law, sexual harassment, and sexual abuse victims’ rights advocacy. Outside of the law, Mary mentors a high school student through the I Have a Dream Foundation, an organization supporting children and youth in under-resourced communities to help achieve their full potential by promoting the values of higher education and career success. Like Amber Phillips, Mary has also been a provider and recipient of the empathy and compassion necessary to be a successful plaintiff’s lawyer and is proud to count the co-authors of this article as her trusted colleagues.